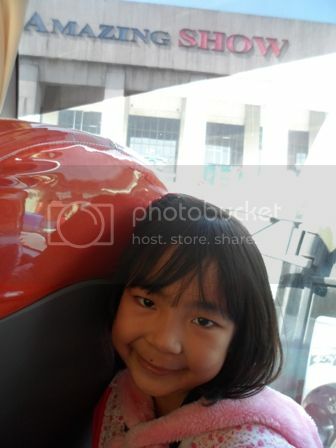 Last February 5, 2015, my daughter joined school field trip for the second time. The first one was during her kinder days. 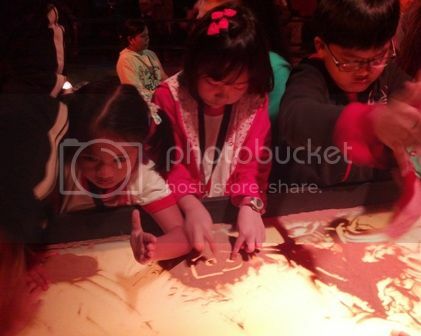 She enjoyed the first field trip, reason why she wanted to join again. Since she’s only in grade 1, I need to go with her. Four places were included in the trip; Amazing Show, Yexel Toy Museum, MMDA and Enchanted Kingdom. Amazing Show said to be the first theatrical variety show in the Philippines. They feature wholesome family entertainment from young to old audiences. Normally, an hour show that features Korean, Chinese, Japanese and Indian production numbers, Broadway and Off Broadway musicales, Philippine Traditional dances, comedy, modern acts and other performances that viewers will surely entertain. 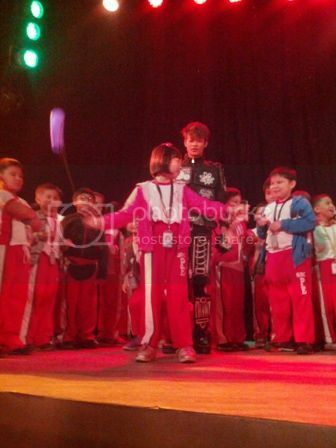 When we visited Amazing show, they prepared five different performances. My daughter and I enjoyed the whole program; sadly they prohibited to take pictures or videos while the show is going on. They only allowed taking pictures after the show. The first on the line was sand art. I think, I first saw sand art on Showtime. One of the contestants performed this kind of art and admired the performance. Now, I personally saw how this sand art performs. Usually, sand art interprets one particular song. Since pictures and videos were not allowed I didn’t remember all the songs interpreted. I can’t even write notes because it was dark inside. What I remember, the performer showed first the beauty of the world, later on it became polluted and damaged because of the wrongdoings of people. 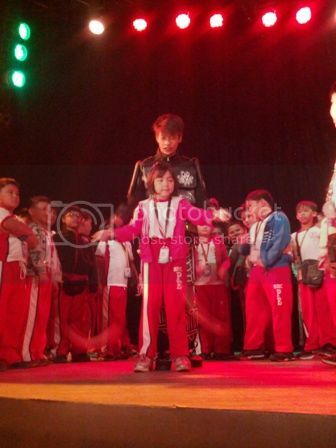 Lastly, the performer interpreted “Heal the World” by Michael Jackson. The performer did a great job and looks handsome as well. POI Dance – Based on what I researched, this kind of dance was used many years ago by the native Maori people of New Zealand. This kind of dance performs to increase flexibility and strength in hands and arms as well as improving coordination. POI dance used balls attached to flax strings. In what we saw, they used balls with LED light and attached to strings. Face Mask Changing – Its like magic. The performer changes masks quickly while dancing with dramatic music. With just swipe of fun, a movement of head and wave of the hand, the performer easily change his mask into something new. 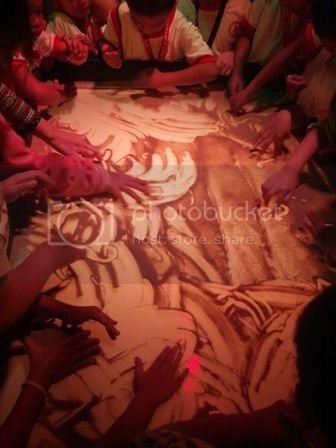 After these three performances, the children allowed to go to the stage and let them tried sand art and POI dance. My daughter tried both. On the second part of the program, the performers showed Laser Legacy Dance and Tron Dance. I didn’t enjoyed Laser Legacy dance that much and find it boring while Tron dance was fun. Both are using LED light and provide an amazing visual impact of lights that are surprisingly amusing because of its different approach in the choreographic movement. Amazing Show is located at Manila Film Center, CCP complex, Pasay City.